High above the valley floor west of St Helena sits the Spring Mountain District, one of Napa Valley's sixteen AVAs. With steep hillside vineyards reaching altitudes upwards of 1500 feet, this is prime cab country. And at the very end of Spring Mountain Road is Smith-Madrone. 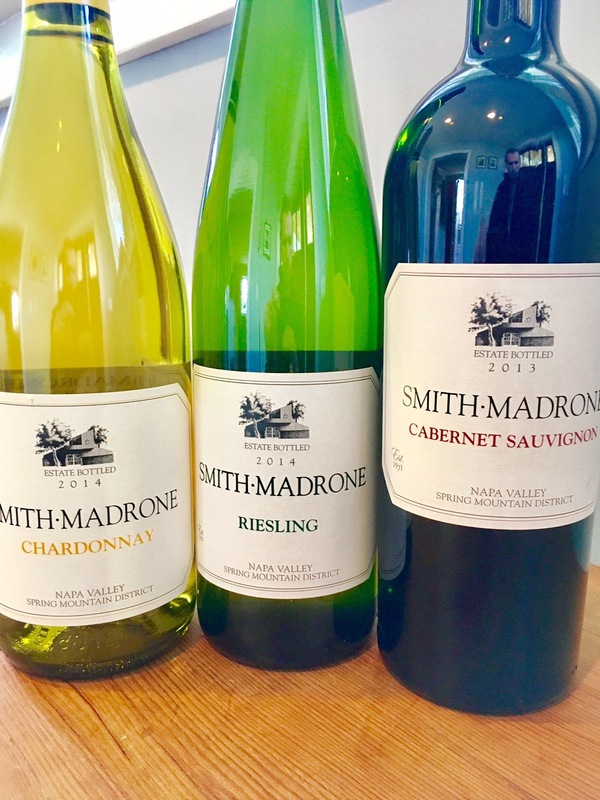 Founded in 1971, Smith-Madrone winery was a pioneer in the practice of dry farming, still a very rare pursuit in California. That they are able to crank out quality wines - not just cabernet, either - from this location and in this manner is impressive indeed. Having been up there a couple of times before, a jaunt off the well-trodden route 29 is highly recommended. Quiet and serene, Spring Mountain feels like the rest of Napa probably did in the seventies. The three samples they sent are all made with precision and clarity. Honesty of place shines through in them all. Lovely wines. Crystaline platinum blonde in the glass offering faint petrol and funk aromatics typical in some rieslings. This gives way to a light bodied and very clean palate. Low viscosity, and quite dry, but not at all lacking in flavor or character. The zippy finish has terrific acidic grip with citrus nuances and a nice mineral bump. All this while clocking in at under 13% ABV. Very Alsatian in style. Very enjoyable with or without food. The few examples I've tasted of Napa Valley Chardonnay grown outside of Carneros have just substantiated why growers like Carneros for chard. Smith-Madrone's proves the notable exception. Its pale straw color and clean nose suggest a lean fleet-footedness. But one sip disabuses the idea that this is anything less than full tilt archetypal California Chardonnay. Big and full of mouth-filling texture, this flavor monster manages to walk a fine line. Well-made without being overblown, it is awfully hard to put down despite its heft. Very floral upon initial decanting. Inviting. Tight, concentrated, and without an ounce of flab as a first impression. Structured and finely spun tannins are center stage. 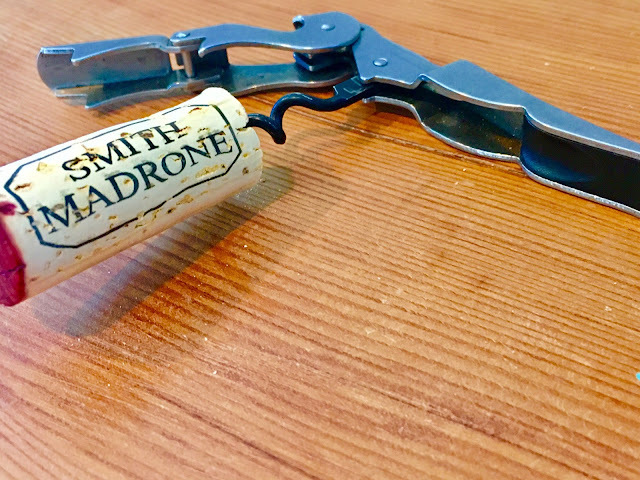 Its formality softens considerably and yields to comforting cedar and vanilla-laced fruit that starts deep and dark, then evolves toward a more bright, vibrant energy. The perfume aspect persists throughout, singing in the company of food. On day two oak emerges in earnest, overshadowing the fruit. Though this wine will go some distance, impatient drinkers won't be disappointed, either.